Anne Paulus originally qualified and worked in a scientific field, but subsequently attended Versailles school of Fine Art. She lives and works near Paris, where she explores the poetic links between etching, printmaking and ceramics. She teaches contemporary printing technics and leads training courses in her studio. Anne Paulus often shows her prints in France and abroad. 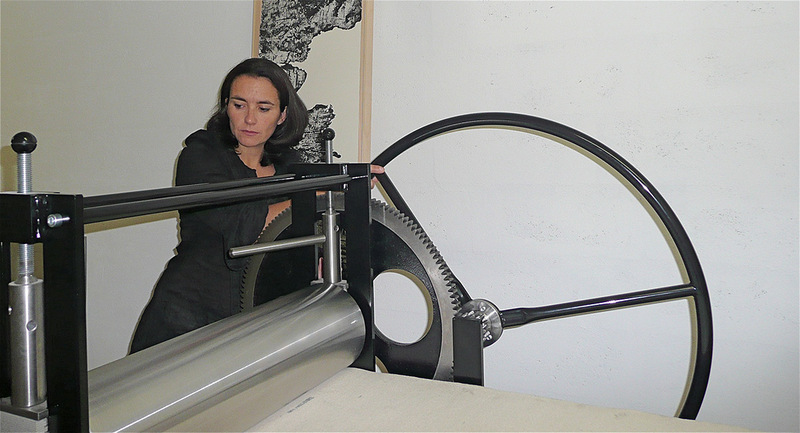 She is an efficient member of several French art organisations, including Graver Maintenant and Manifestampe (French Federation for printmaking art) and has been curator for several printmaking exhibitions.